Stepfanie Johnston is an Anishnaabe-Kwe from Elliot Lake, Ontario. She is in her final year of studies at Laurentian University for Indigenous Studies with a minor in Indigenous Healing and Wellness. 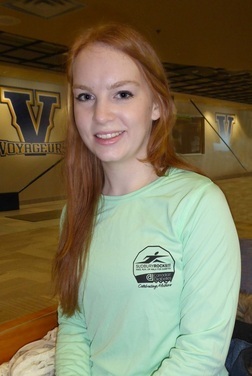 She is currently working with Laurentian University as a Research Assistant conducting interviews to understand more about the Aboriginal History of Sudbury and how that has evolved over time. She also helps as a Teachers Assistant for the Aboriginal Healing and Wellness class at University of Sudbury. She recently became an ambassador for the FitSpirit program where she will go to visit schools in Northern Ontario to give presentations to young girls in hopes to help motivate, promote self-esteem, helping other while having fun with physical activity. She also spends time running, cycling and swimming in preparation for many athletic events that happen in Sudbury and the surrounding areas. Her main career interest is to uplift and empower Indigenous people and communities. She also hopes to be a strong advocate for health care and human rights, through health care provision, and promotion. As the award winner for the Laurentian University Sudbury ROCKS!!! Race Run Walk for Diabetes Scholarship, I would like to express my heartfelt thanks for your generosity in providing this award. I am happy to have been selected as this year’s recipient for this scholarship and it will be of significant help to lighten the burden of paying for my tuition. I plan to pursue a career in Indigenous Health by going on to graduate studies. My studies in healthcare will allow me to advocate for, and work with, the communities affected by issues that I understand directly. The Sudbury ROCKS!!! Race Run Walk for Diabetes Scholarship has provided me with the financial opportunity to achieve the education I need, and develop the tools necessary to move forward as, not only a practitioner, but also a leader in the field of healthcare. With the help of your generous contribution I am one step closer to achieving my goals. By awarding me the Sudbury ROCKS!!! Race Run Walk for Diabetes Scholarship, you have lightened my financial burden which allows me to focus more on the most important aspect of school, which is learning. Your generosity also allows me to spend more time on my studies, extracurricular activities and my volunteer work at Shkagamik-Kwe Health Centre here in Sudbury. ​Stepfanie Johnston is an Anishnaabe-Kwe from Elliot Lake, Ontario. She is in her third year of studies at Laurentian University for Indigenous Studies with a minor in Indigenous Healing and Wellness. She is the female Traditional Coordinator for the Indigenous Student Circle (ISC) at Laurentian where she helps to coordinate events such as the first ISC Women’s Water Walk for International Women’s Day and Neyaap Ji-nsastaming Edming Bimaadzowin, “Bringing Back the Understanding of the Good Life with Teachings from Our Elders” day of teachings in February. She also helps facilitate various workshops at the university such as beading workshops to help bring people together and relieve stress that can accumulate while being a student. 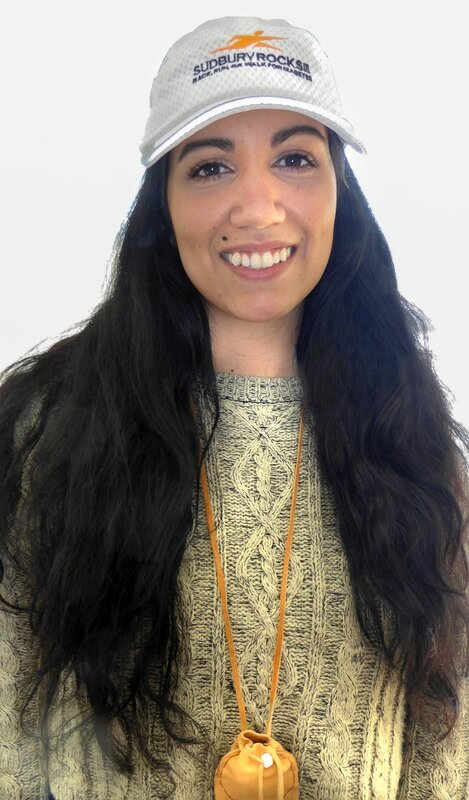 In her spare time, she volunteers at Shkagamik-Kwe Health Center for the Choices program which help to provide youth with a culturally safe place and helps them to practice skills that will have a that will have a positive impact on their family relationships, peer interactions and school performance. She also spends time running, cycling and swimming in preparation for many athletic events that happen in Sudbury and the surrounding areas. Congratulations to Leah Kiviaho, our 4th recipient of the SudburyRocks!!! Race, Run or Walk for Diabetes Laurentian University Scholarship. Leah is currently in the 2nd year Science program. Leah writes: I live in Whitefish, just outside of Sudbury. When I was little, my Grandfather would always try to take my blood sugar with his “pricky-device.” He’d always told me it doesn’t hurt, but he never succeeded in taking my blood sugar. He had diabetes, and though he ate a great diet, he always enjoyed his dessert the most – often returning for seconds! Now that he’s passed away, I find myself occasionally sneaking in an extra sweet, just for him. He is the reason I’d decided to volunteer for the race in the first place. He is an inspiration to me, not just because he ate chocolate cake, but because of how he persevered – much like the runners (AND volunteers!) do for the Sudbury Rocks Marathon. It seems right that I decided to lace up my shoes for the 10th official race, in honour of the greatest man! Hopefully I can even work myself up to follow in my cousin, Marnie Pearson’s shoes – she finished the full marathon in 2014! 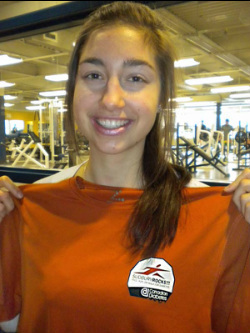 I am currently enrolled at Laurentian University in the Biomedical Biology program. I plan to specialize in neuropathologist or researcher. The reason I’ve worked so hard for this goal is because of my cousin, Paula, who lived with MS for many years and has recently passed away from the disease. With this education, I hope to help others through their difficult times, and help in whatever way possible for the future of disease and disease prevention. It is an honour to be chosen for such a meaningful scholarship. When I looked in the mail and opened the envelop I was overjoyed to see a scholarship sponsored by the Sudbury Rocks!!! Race, Run, Walk for Diabetes! I’d like to thank Sudbury Rocks!!! not only for their generous scholarship, but also for their commitment to the community and to the race itself. I’m so happy to have volunteered three times now, and I look forward to lacing up my shoes and participating in the run next year in honour of my grandfather! Of course, I’ll be back for many years to come, and plan on recruiting some friends to run with me this coming year. Hopefully I’ll even work my way up to running the full marathon race! Thank you so much Sudbury Rocks!!! for your generosity; I am very appreciative for your support, and I look forward to being a part of the event for years to come! 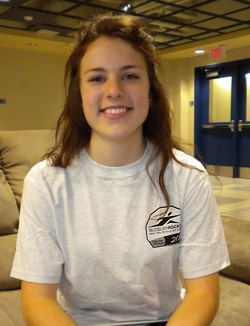 Coralea writes: I am in my second year of Bachelor of Science with a Major in Biology. Beside my courseload I am a varsity athlete on the Cross Country and Track & Field team, I work as a TA in the Chemistry lab, and am the Team Lead for the Peer Health Education team. Veronique Charbonneau is our 2nd recipient of the SudburyRocks!!! Race, Run or Walk for Diabetes Laurentian scholarship. She lives in Sudbury and is in her 4th year in the Health Promotion program. Besides her course load she also works in the President's office as an intern doing everything from copying to communications, social media and budget reports. Veronique competed in the 2012 Continental Insulation 10km Walk/Run. She did very well completing the course in 51:32 and placing 8th in her age group. Veronique is looking forward to the 2013 10km which she plans to run again. I hereby would like to thank you for your charitable contribution. I certainly can use the assistance! It is through such works that I realize how to live, and that I can count on my community to give a boost to help me build a successful future. This money will help pay for the rest of my undergraduate training. Also, be assured that I will continue to support my academic endeavours and of course, to promote health and combat diabetes. Chenguang Zhu is our first recipient of the Sudbury ROCKS!!! Race Run Walk for Diabetes scholarship. 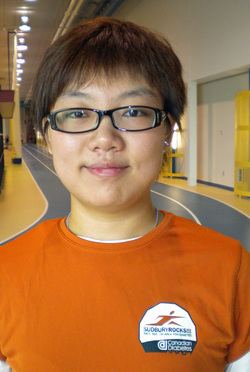 Chenguang recruited 25+ volunteers and 1 relay participant and likely many others through her on-campus promotions of the race. She also promoted the event in the campus club she founded; the Friday Afternoon Sport Club. Through the Sudbury ROCKS, Chenguang met Sara and Neil and is now volunteering for the Beaton Classic and planning to be part of other running events through the year (and looking forward to the ROCKS 2012).